Love this picture posted by Victoria Beckham of her son Romeo Beckham celebrating his 16-year-old birthday. 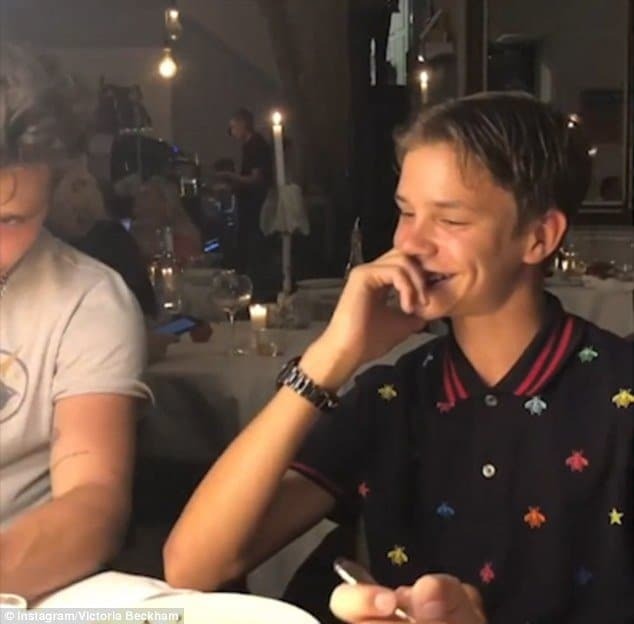 The Beckham family celebrated Romeo’s birthday while on vacation in the South of France with singer Elton John. 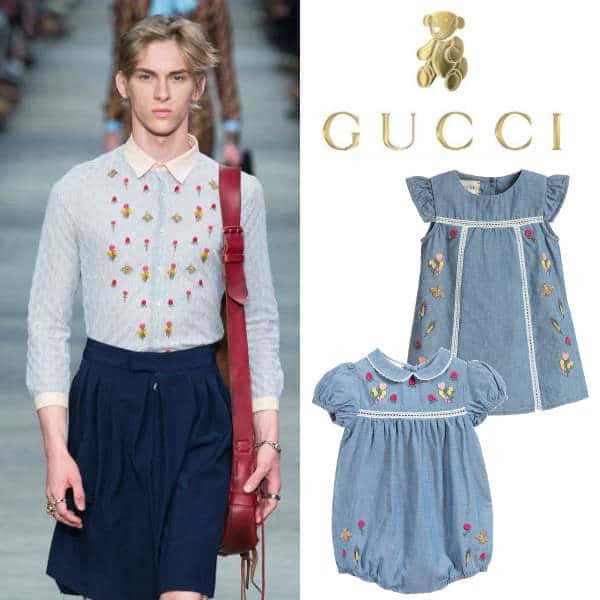 Romeo looked super stylish wearing this Gucci Boys navy blue bee and star embroidered polo shirt from Gucci. Made in soft cotton piqué, this mini-me design is taken from the menswear collection. There is a knitted green and blue rib collar, with mother-of-pearl button fastenings. Interesting that Romeo chose to wear GUCCI over Burberry which he had been the brand ambassador since he was 10! Unfortunately, this Gucci Mini Me Blue Bees & Stars Polo Shirt is not currently available. 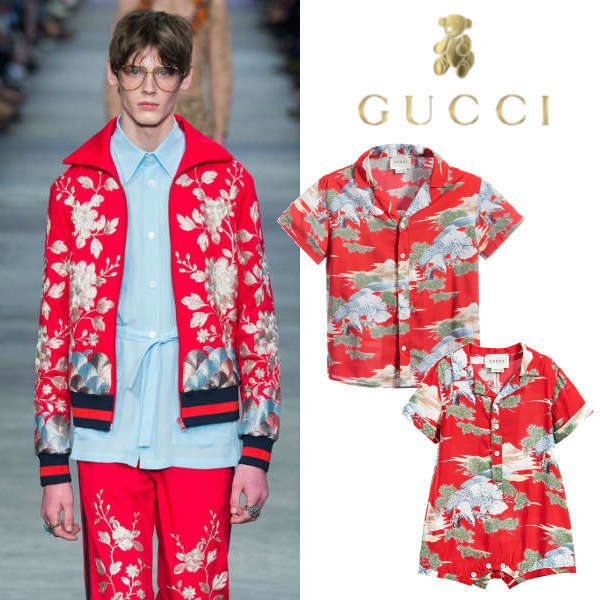 You can shop similar GUCCI Boys clothes from the current collection online.